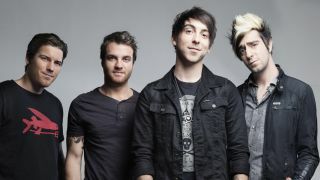 All Time Low have released a live video for their track Runaways. It’s taken from their sixth album, Future Hearts, which was launched in April. The band appear at the Reading and Leeds festivals this weekend – and they’ve confirmed a show at Glasgow’s SSE Hydro on February 15. It’s not known whether more dates will be announced around the gig. Tickets go on sale at 9am on September 4.